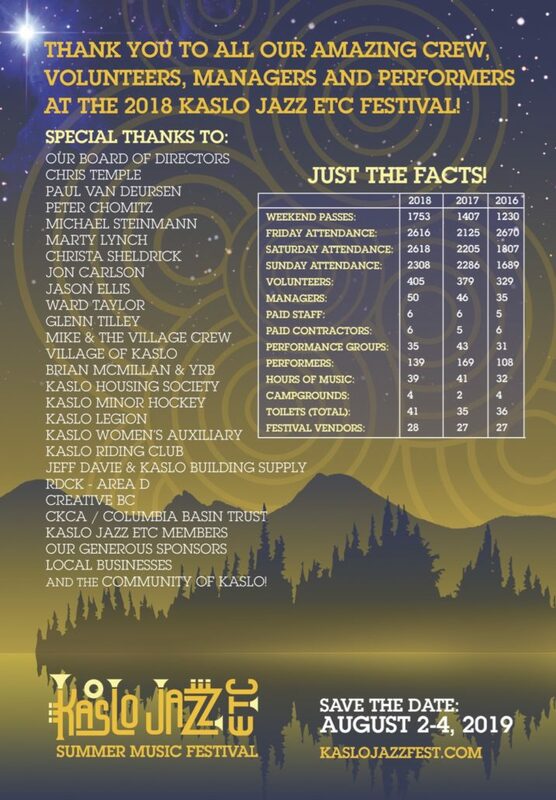 There are so many incredible people that make the Kaslo Jazz Etc. Summer Music Festival the amazing event that is is! THANK YOU! We look forward to making the magic happen again with you all next year: August 2nd – 4th 2019! See you in Kaslo Bay! **Get the latest festival info, ticket updates, discounts, artist announcements and much more by signing up to our mailing list!